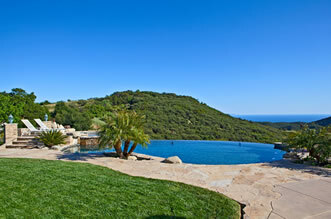 Malibu is a 21 mile long stretch of beach, and home to one of the most exclusive-yet-approachable communities on earth. The laid back, casual approach to life that permeates Malibu is largely due to the constant ocean breezes framed by a background of gorgeous mountain scenery – who could live in such a beautiful place without having a permanent smile on their face? Since the township of Malibu is built around capturing this natural environment, and the local community is invested in maintaining the premium status of this area, long term prospects for the value of Malibu California and Topanga Canyon real estate listings remain high for the indefinite future. 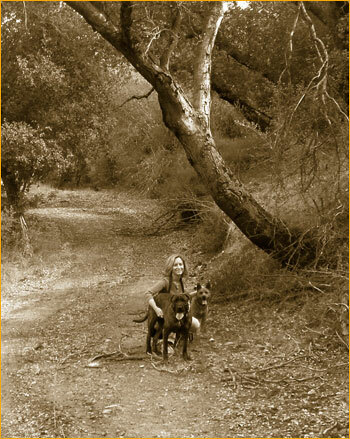 Far from a simple investment, Topanga, California real estate provides everything you could ever want in a residence. Convenient access to the beach, numerous opportunities for hiking, biking, and exploring, a wealth of quaint and authentic shops and stores, along with some of the best food you’ll find anywhere. All of these great features combine to make this area one of the premier places to live on earth. Malibu and Topanga Canyon real estate listings seldom last long, and it’s easy to see why – with all the beauty and serenity of ocean beaches and natural forests, and all the luxuries and amenities of modern life, Malibu and Topanga California offer everything you could ever want in a home town. Malibu and Topanga offer all the activities you could ever want to experience during your free time, from horseback riding to hiking and camping to simply sitting on the beach and soaking up sunshine. Learn to Scuba dive or parasail, enjoy one of the many local museums or aquariums, and browse art galleries that house amazing and exquisite pieces from around the world. No matter how you like to spend your free time, you’ll find that Malibu and Topanga offer a rich variety of entertainment and enjoyment that will keep your thirst for adventure sated. Perhaps the most common reason that Malibu and Topanga Canyon real estate listings turn over so quickly is due to the exclusive and cohesive Malibu community. Local residents are dedicated to ensuring that Malibu and Topanga remain beautiful, litter-free, well-kept, and enjoyable – now and forever. You’ll find that Malibu streets are safe, sidewalks are clean, and storefronts are sparkling all year round. Additionally, many well-known celebrities keep homes in Malibu and Topanga, and you’ll find a surprisingly casual attitude among local residents regarding this infusion of Hollywood.